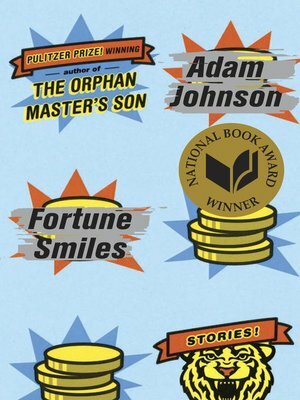 The National Book Award–winning story collection from the author of The Orphan Master's Son offers something rare in fiction: a new way of looking at the world. Throughout these six stories, Pulitzer Prize winner Adam Johnson delves deep into love and loss, natural disasters, the influence of technology, and how the political shapes the personal, giving voice to the perspectives we don't often hear. In "Nirvana," a programmer whose wife has a rare disease finds solace in a digital simulacrum of the president of the United States. In "Hurricanes Anonymous," a young man searches for the mother of his son in a Louisiana devastated by Hurricanes Katrina and Rita. "George Orwell Was a Friend of Mine" follows a former warden of a Stasi prison in East Germany who vehemently denies his past, even as pieces of it are delivered in packages to his door. And in the unforgettable title story, Johnson returns to his signature subject, North Korea, depicting two defectors from Pyongyang who are trying to adapt to their new lives in Seoul, while one cannot forget the woman he left behind.